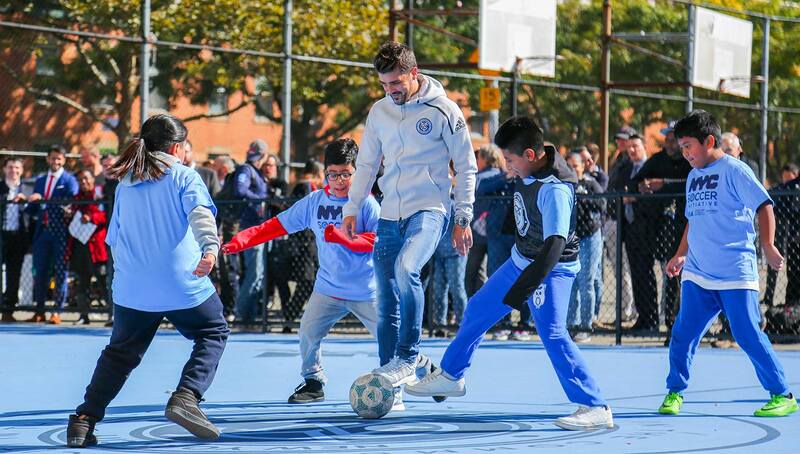 In an effort to provide New York City’s most underserved communities with a safe and effective youth development program, the New York City Soccer Initiative began last week with the opening of 10 pitches across NYC’s five boroughs. 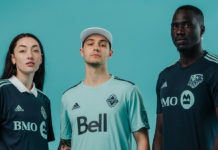 The four-year plan has $3 million invested in it, and has backing from both government-funded agencies and private corporations alike. 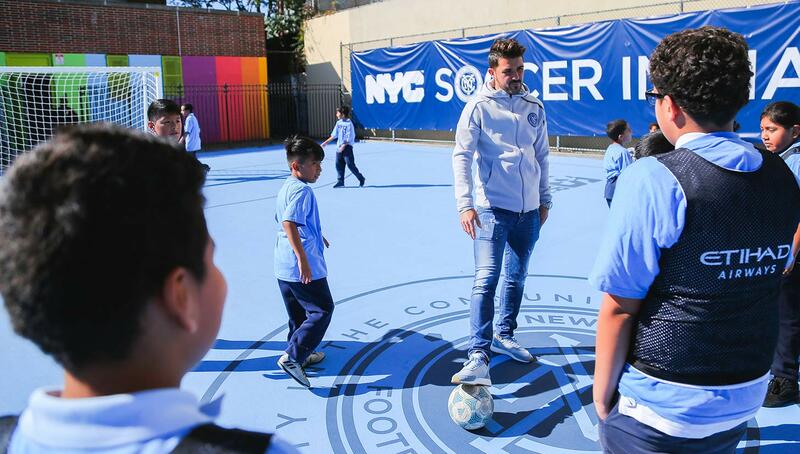 In a public-private partnership that is the first of its kind, the New York City Soccer Initiative is set to open 50 “mini-pitches” in the Big Apple’s public schools and parks over the next four years. 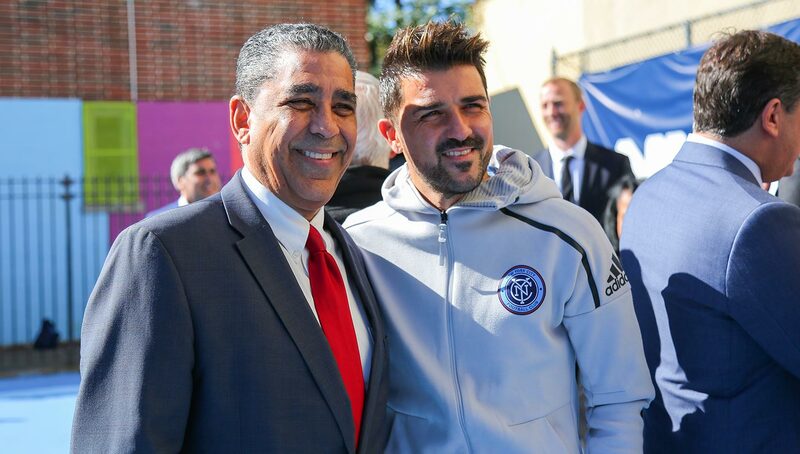 Headed by New York City Mayor Bill de Blasio, the Mayor’s Fund to Advance NYC, the U.S. Soccer Foundation, Adidas, New York City FC, and Eithad Airways, the initiative’s first phase kicked off last week with the opening of 10 pitches in all five New York City boroughs. 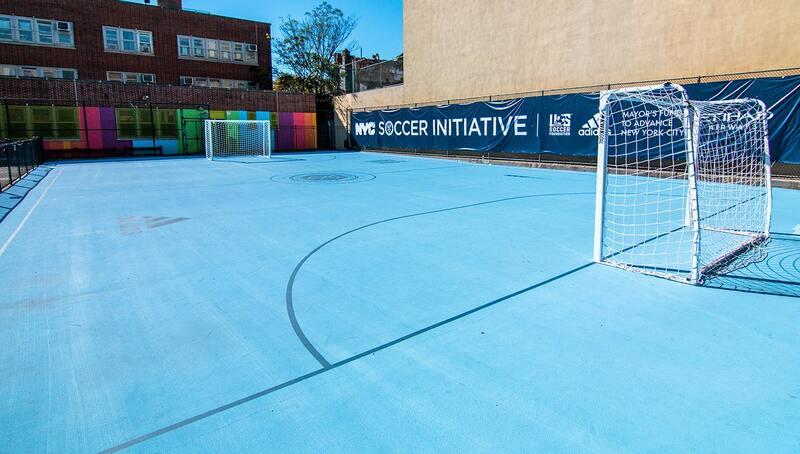 The pitches are strategically located in some of New York’s most underserved communities to give the area youth a new way to discover the beautiful game. 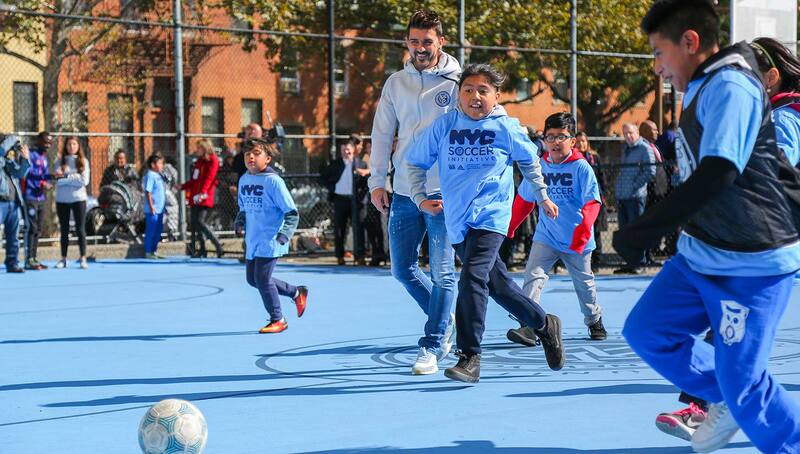 With $3 million invested by private parters, free after school soccer and mentorship programs will reach 10,000 young people over the next five years. 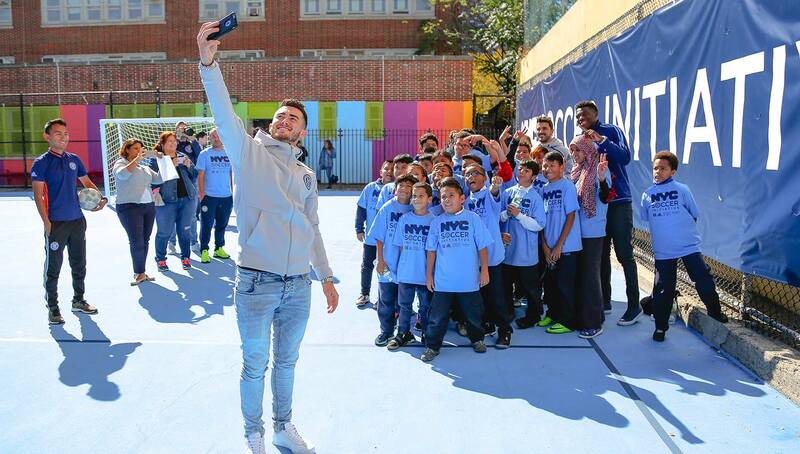 These programs include U.S. Soccer’s acclaimed Soccer For Success and NYCFC’s City in the Community. 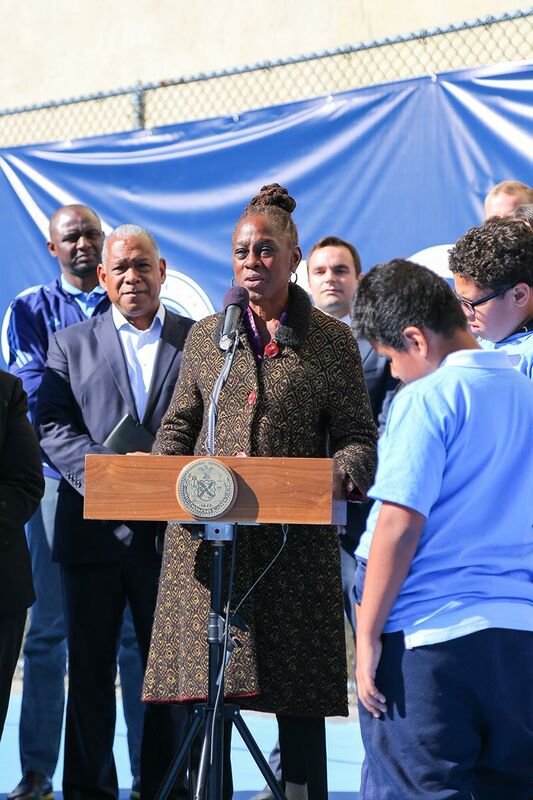 New York City First Lady Chirlane McCray speaking at the ribbon cutting ceremony. 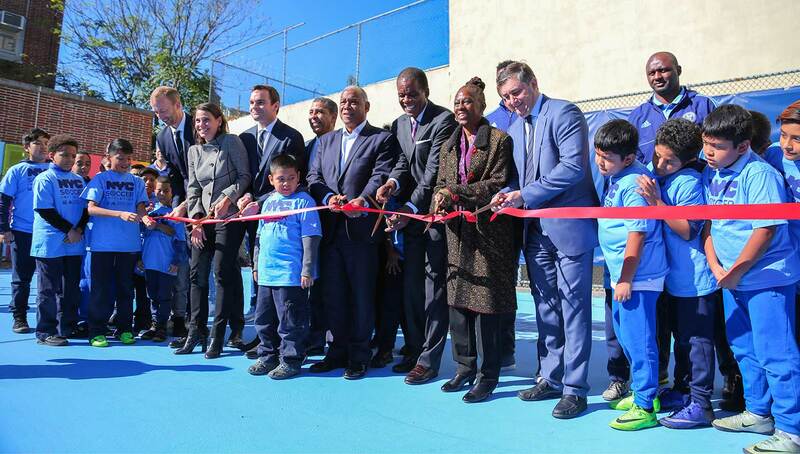 At the opening ceremony at P.S. 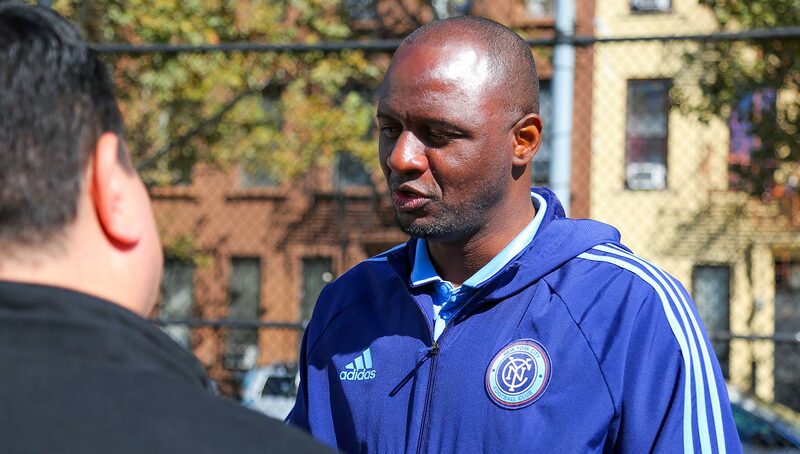 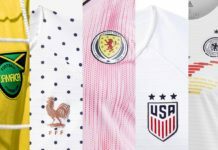 083 Luis Munoz Rivera in Harlem included New York City First Lady Chirlane McCray, NYCFC Head Coach Patrick Vieira and players David Villa, Jack Harrison, and Sean Johnson. 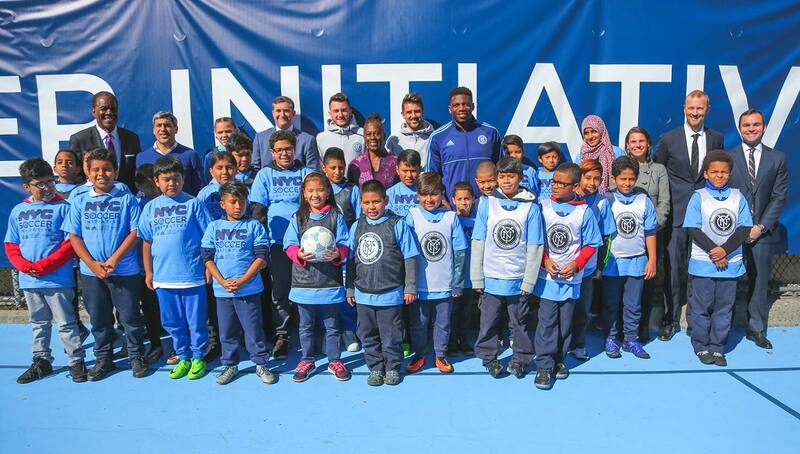 After the ribbon cutting ceremony, NYCFC players took to the pitch to play with some of the East Harlem kids that were in attendance. 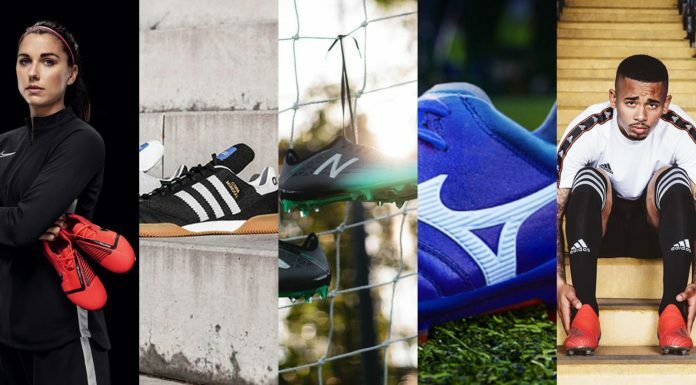 Adidas’ involvement in the project is yet another instance in which it has supported the growth of street football, in addition to the various Tango League tournaments and football Bases around the world. 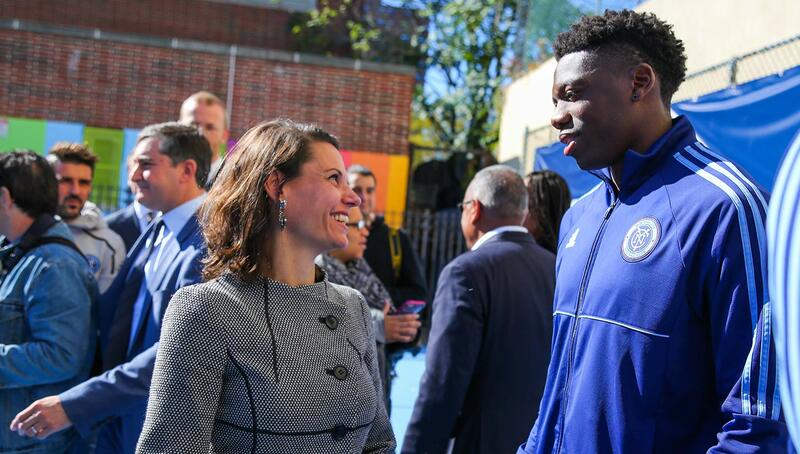 “We at Adidas believe that through sports, we have the power to change people’s lives,” said Adidas General Manager of New York City and Los Angeles Niels Rossow in an Adidas press release. 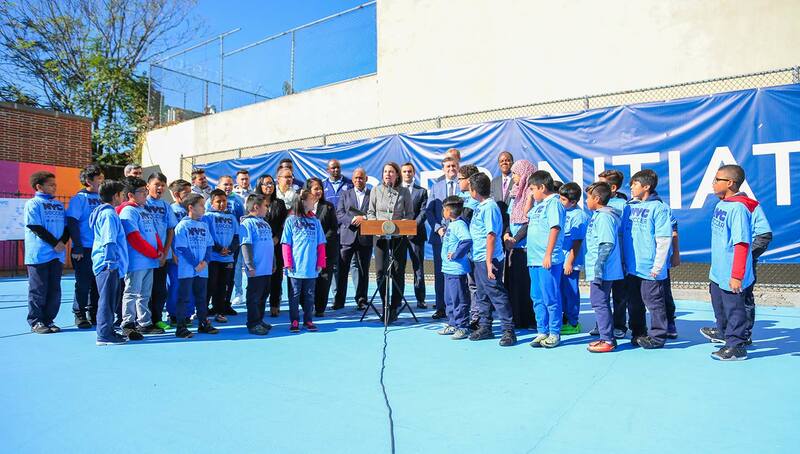 Only time will tell the if the New York City Soccer Initiative has a lasting impact, but for now we can applaud all of those involved for making an effort to grow the community through the beautiful game.